Description: Take the terror out of transit. 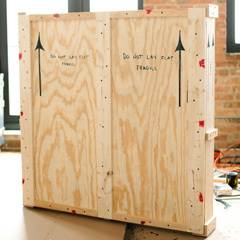 Learn how to properly wrap, pack, and ship your work. Find out what professional galleries love (and hate) to unpack. We’ll also discuss installation options: from traditional mattes and frames to window boxes and plinths, and everything in between.